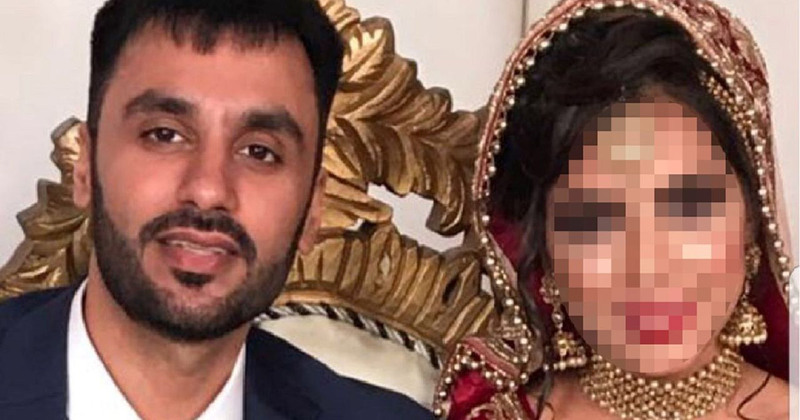 Jagtar Singh Johal was shopping in Jalandhar, Punjab, with his newly-wed wife last week when a group of men grabbed him, threw a sack over his head and bundled him into a van. His family were later informed they were policemen. He had travelled to Punjab in October for his wedding and stayed there for a month without problems, his family say. Johal had also been there in April to make arrangements without any issues. A day after his arrest, Johal was presented in court and placed in police remand for five days. But his family have not been told of his whereabouts or condition. So why was he arrested and what are Punjab Police accusing him of? That still remains unclear because the authorities have not charged him yet. His family and friends fear he will be kept in jail indefinitely without an actual charge-sheet or trial. A few days after his arrest, Punjab Police claimed Jagtar Singh Johal was arrested, along with three other men, for the targeted killings of several high-profile figures in Punjab. Punjab Chief Minister Amarinder Singh claimed the four men had met and been trained abroad, with support from ISI - the Pakistani intelligence agency. The aim of the four men, Amarinder Singh claimed, was to "cause communal disturbances in further of ISI anti-India gameplan," at a press conference. He said the four men were "conspirators" in a plot to destabilise the state of Punjab. Three men were named at the press conference, including Johal. One name was withheld. No evidence was offered to support these claims. Neither was a specific charge laid against Johal himself. Johal's aunt Gurmesh Kaur disputed the claims, telling the Indian Express: "My nephew Jaggi (Jagtar Singh) is innocent. He runs a restaurant in UK. One of his two brothers is an advocate in UK. Jaggi can never be involved in such a crime." His mother-in-law, Amandeep Kaur, told the newspaper: "He is implicated in a false case. Police is harassing not only us, but our relatives too. Police is demanding his passport from us. ... My daughter got married a few days ago only and this is what has happened now. She is in deep shock and not in a position to speak to anyone." Johal was known for running the website: NeverForget84.com. Punjab Police have used that against him, briefing the Tribune News Service that the four men were influenced into killing of Hindu leaders by tales of atrocities during the 1984 anti-Sikh pogroms. "He [Jagtar Singh Johal] was influencing youths through social media and his magazines and is learnt to have contributed funds for the whole operation,” one official said. Again, no evidence has yet been offered to support such claims. The UK-based Sikh Federation is campaigning for Johal's release. Its chair Bhai Amrik Singh said: "The crime of raising awareness about the 1984 Sikh Genocide in the UK that Jagtar stands accused of, that has been reported by the Indian media is pathetic. Firstly it is not a crime, secondly it is not in India’s jurisdiction and thirdly could apply to hundreds of thousands of Sikhs in the Diaspora. In our view this illegal detention is designed to scaremonger and is another attempt to restrict human rights activists abroad from raising voices of opposition." The Johal family live in Dumbarton, Scotland, and have raised the issue with their MP Martin Docherty-Hughes. In a statement on Friday he said he was "deeply concerned" about the arrest and imprisonment. "I have raised the case with the British High Commission of India and will be contacting the Foreign Secretary and the Scottish Government to ensure that Jagtar and his family are not unfairly mistreated by the Indian authorities," he added. A spokesperson from the Foreign Office sent us this short statement: "We are in contact with the family of a British man who has been detained in India. Our staff are in contact with the Indian authorities regarding his case." His elder brother Gurpreet Singh Johal said in a statement: "Unless the British authorities quickly step in this will guarantee a law-abiding British citizen will be illegally detained for some time and will not receive a fair trial." The Sikh Federation UK clearly think the arrest is politically motivated, and believe Johal was arrested because he partly ran the website NeverForget84.com. The website is seen as controversial: in addition to highlighting human rights abuses it also lionises Sikhs who agitate against the Indian government for an independent Khalistan. But there are other factors too. The state of Punjab has been rocked by several murders of Hindu nationalist leaders in recent weeks. The murders have raised the prospect of increasing tension between Sikh and Hindu nationalist groups. They have also put pressure on the Chief Minister Amarinder Singh. The Chief Minister's remarks subsequent to these arrests do suggest a political motive. He took responsibility for arresting eight such terror "modules" since coming to power. He also said the recent murders had now been "solved", without anyone being charged or presenting the evidence in support of his claims.